As Moms, it’s a challenge to find time to take care of ourselves. We’re always putting everyone else’s needs first. But as we all know, you need to make sure you’re taken care of if you want to be any good to anyone else. Which is why even though the holidays are the busiest time of the year, it’s still important to take care of YOU. Here are some easy tips and ideas for self care during the holidays. This post contains affiliate links. You can read more at our legal page. As always, the thoughts and opinions expressed here are our own. The holidays are sensory overload. Blinking lights, repetitive music, it’s enough to drive anyone crazy. So you need to find a place where you can have a moment of zen. It could be anything from sitting alone in your car for a few minutes to being in your yard in the crisp cold. Mine is sitting in the dark, next to the lit up Christmas tree, after everyone else has gone to sleep. No matter what insanity exists everywhere else, that is a place of peace and quiet and tranquility. It all goes to hell as soon as someone else is awake, but it’s a great place to sit at night or to drink your morning coffee. We spend so much time focusing on making the little people happy, that we forget to make ourselves happy too. What’s something YOU enjoy this holiday season? Pick something that’s just for you and put it on the calendar – before it fills up! Drag your partner, or the whole family, or go alone, but let everyone know why this is important to you. Your family needs to learn that you get to do things that you love too, not just facilitate what they love. Even if that means your husband is putting on ice skates and hobbling around a rink for an hour. Or seeing the holiday chick flick you want to see. Because your holiday wishes are just as important as everyone else’s. As Moms we have to be “on” pretty much all the time already. But the holidays doubles down on that feeling by throwing you into extra social situations. We want to say “Yes!” to everything, and because these are festive events that come up once a year, we do. But we can only go, go, go, so long before burning out. Make sure you take little breaks – even if it’s something that doesn’t feel like a break. Hand the kids to your partner and go for a drive. Take a walk – by yourself – to look at Christmas lights. Go park your car somewhere nice and read a book. See a holiday movie alone. Meet up with a friend for Dollar Jolly drinks at Applebee’s. Just take a break from the crazy. I promise it will still be there when you get back. Doing something BIG for yourself can be overwhelming. Doing little nice things for yourself can help you stay engaged. If you love to journal or bujo or just write in your calendar, grab a new pen in a shiny red, or some washi tape to enhance your holiday. Splurge on a beautiful new nail polish – like this scented Candy Cane Crush polish – for all those holiday gatherings. Personally – I love a seasonal coffee. So while I stick to a pretty tight Starbucks budget 11 months of the year, I indulge in December. Gingerbread lattes, eggnog lattes, salted caramel mochas – I enjoy them all. Hell, I even will buy a cranberry bliss bar and not think about the extra expense. Don’t just find a zen place, or take a 5 minute break, but make sure that every once in a while you really, truly, completely relax. 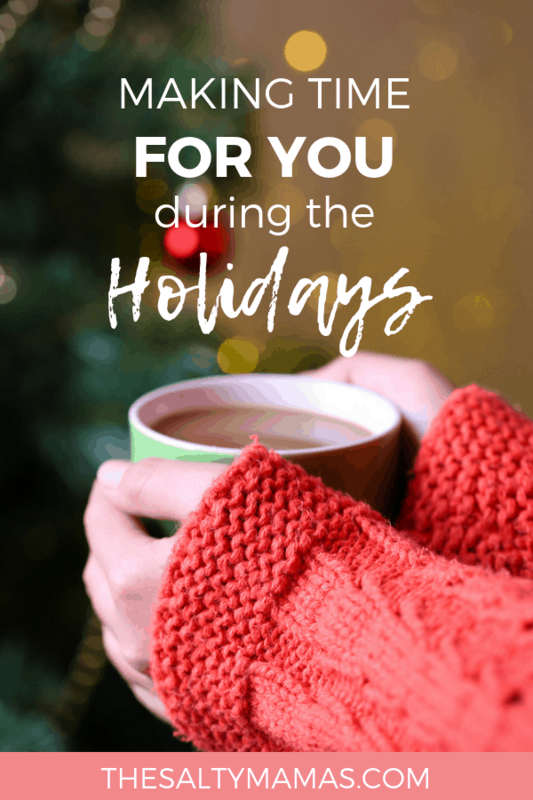 I remember my Mom saying “But wrapping presents is relaxing!” And maybe you’ve convinced yourself of that too, but you also deserve to relax without creating someone else’s holiday merriment. Having said that, I’m terrible at truly relaxing. I can’t settle my hands long enough, which is probably how I end up on Twitter most times I should be relaxing. So, the challenge becomes finding a mind-numbing activity that also engages your hands. Here are a couple ideas! Or crocheting or cross-stitching or anything crafty like that to keep your hands going. I learned how to knit in the 3rd grade. I can knit all sorts of things from rectangles to squares to really long rectangles. If I forget to count stitches I can even make a trapezoid. Which is to say, I’m terrible at knitting. BUT I can do it without thinking and let my mind go while my hands are busy. Turn on some Christmas music and I can enter complete relaxation. 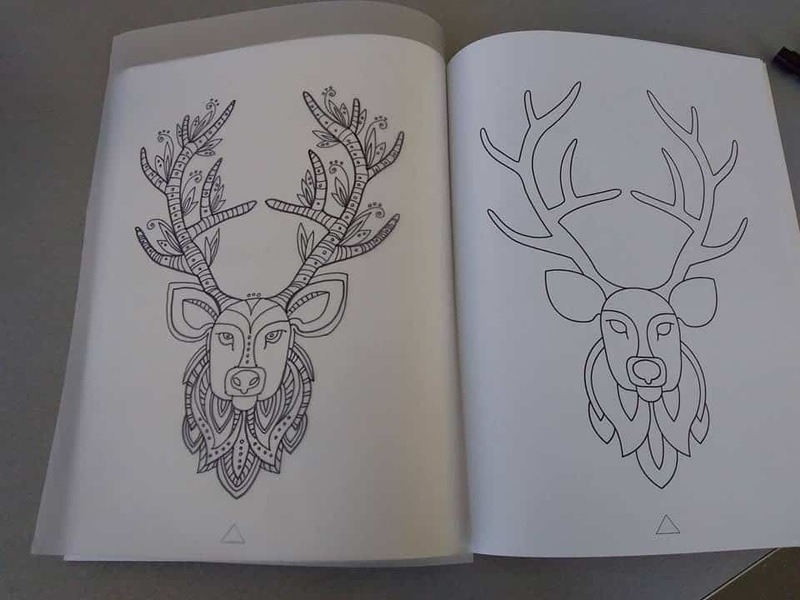 Okay, you’ve probably heard of adult coloring books, but we found these tracing books that are AMAZING. You literally just put a piece of tracing paper over the page and trace. 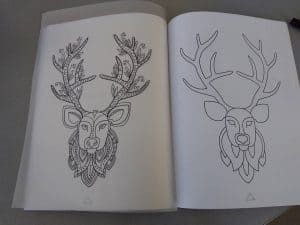 The first page is a simple design, and if you want you can then do the second page to add detail. Then a third page for even more detail. When you’re done, you’ve got a beautiful drawing – THAT YOU DID – and you didn’t even have to think about it! We love Believe, the seasonal book from The Tracing Co., but also love Bloom, with mandela floral designs and Wild Animals. 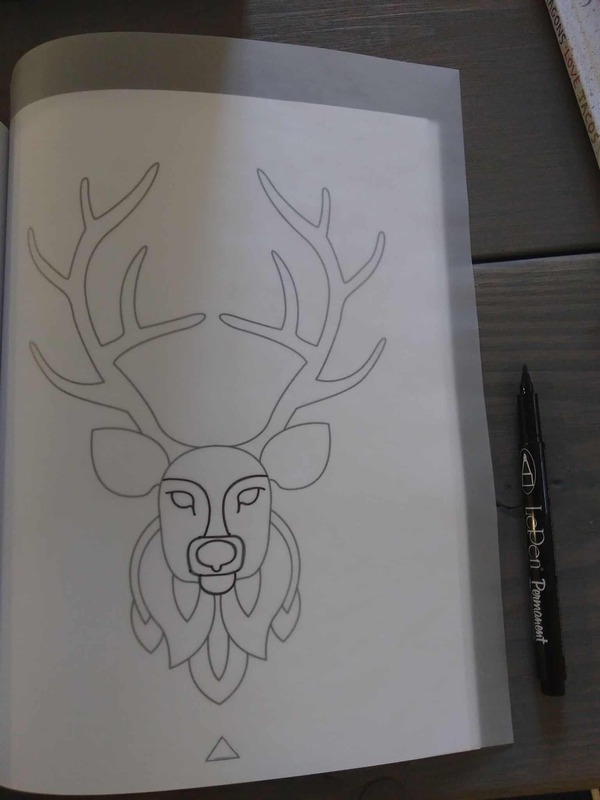 My favorite way to relax right now is tracing while vaguely listening to a podcast. It is such a good reset for me. 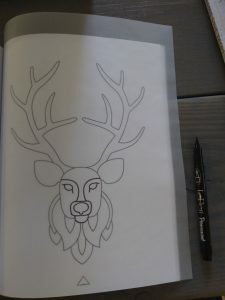 Don’t forget to grab some tracing paper, and a set of pens of different widths like this one and you can easily make an amazing reindeer too! 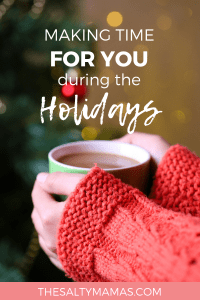 Hope these tips help you have a wonderful holiday season full of fun, festivities and yes – a little self-care! Quiet Your Anxious Mind, So You Can Fall Asleep Fast!